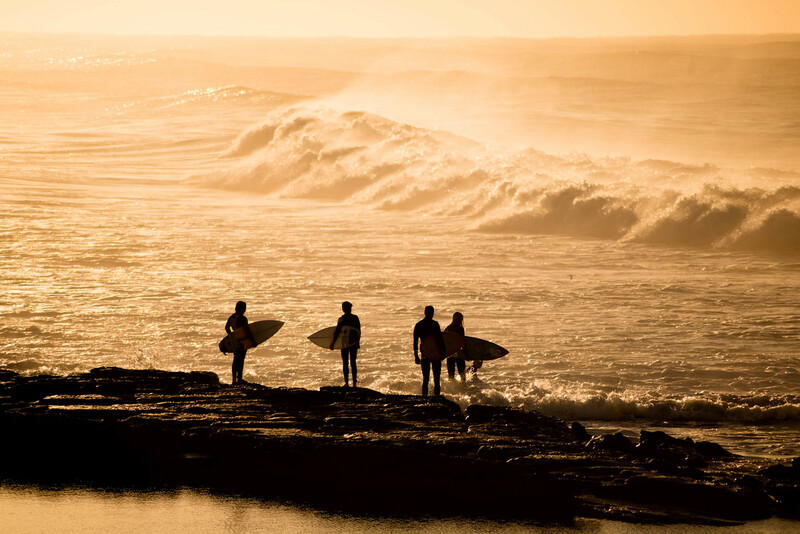 Surfer's pause as they wait for the right moment. A swell allows them to drop in to the surf off the rocks. Captured just after sunrise on Merewether Beach, Newcastle NSW Australia.